Testing font-family attribute. Two SVG fonts are defined. 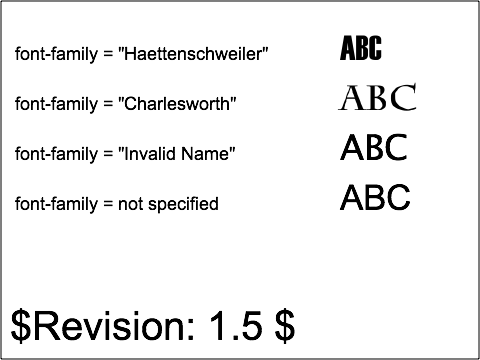 Various text elements are then used with varying values for the font-family attribute. 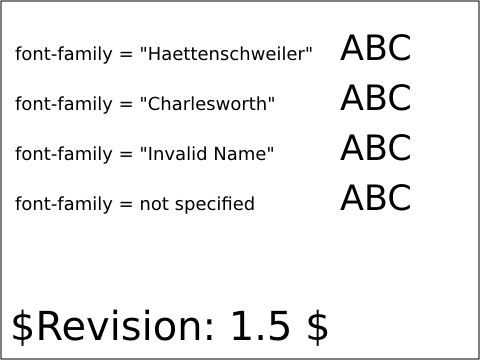 The first two text elements should display in their respective fonts, the last two should be displayed using the system font since the value specified for font-family is either invalid or not specified.